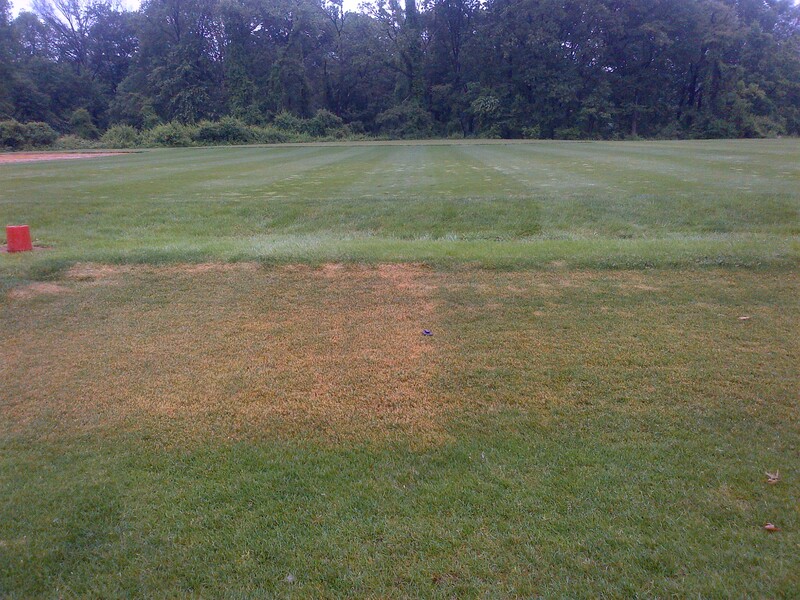 Unfortunately, we had annual bluegrass invasion into the 2011 Kentucky Bluegrass Trial, sponsored by the National Turfgrass Evaluation Program (NTEP). As a result, we are trying a relatively new herbicide,amicarbazone, in combination with paclobutrazol on the borders of the 2011 trial. Light-colored patches of grass are annual bluegrass plants in Kentucky bluegrass border of the 2011 NTEP trial at Hort Farm No. 2 in North Brunswick NJ. The tank mix we used was 2.0 oz per acre of amicarbazone + 1 pint per acre of paclobutrazol. 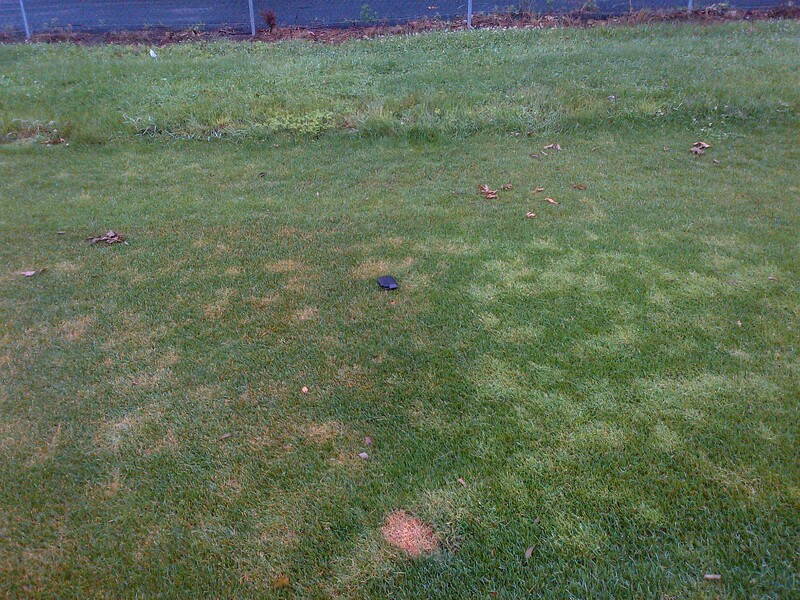 Injury to the annual bluegrass was highly visible around 2 weeks after the initial application (left side of this image). Annual bluegrass on the right-side of the image was not treated and, as result, no injury. Kentucky bluegrass is more sensitive to amicarbazone than other lawn grasses like tall fescue and perennial ryegrass. The maximum recommended rate of amicarbazone on Kentucky bluegrass is 2.0 oz per acre applied no more than twice in the spring at temperatures less than 85° F.
On the left is injury to Kentucky bluegrass from an intentional double-treatment (4.0 oz per acre) with amicarbazone. The yellowing of Kentucky bluegrass on the right side of the image is due to amicarbazone applied at the 2.0 oz per acre, the maximum recommended rate. Image taken about 2 weeks after application.